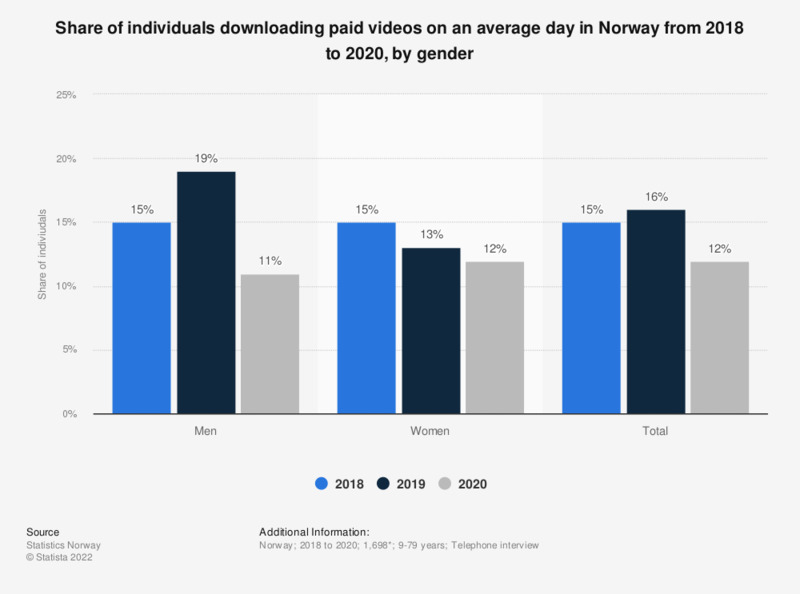 This statistic shows the result of a survey on the share of individuals downloading paid videos in Norway in 2017, by gender. Downloading paid videos was most common among men, according to 18 percent of respondents. The corresponding figure for women amounted to ten percent. Statistics on "Home video in the Netherlands"
How focused were you on the online video content you watched in the last week? In what room did you watch online videos in the past week?